A lot of the time, it's 'what if insert British car company here wasn't managed by incompetents/plagued by poor finances/staffed by unionists'. These thoughts have inspired a number of future build projects, like the IRS Triumph Dolomite Sprint and ITB Stag. I'm also fairly certain that if I was sent back in time, I could save MG from its bankruptcy. This one's a little bit different though. What I'm thinking is 'what if Alfa decided to replace them'. 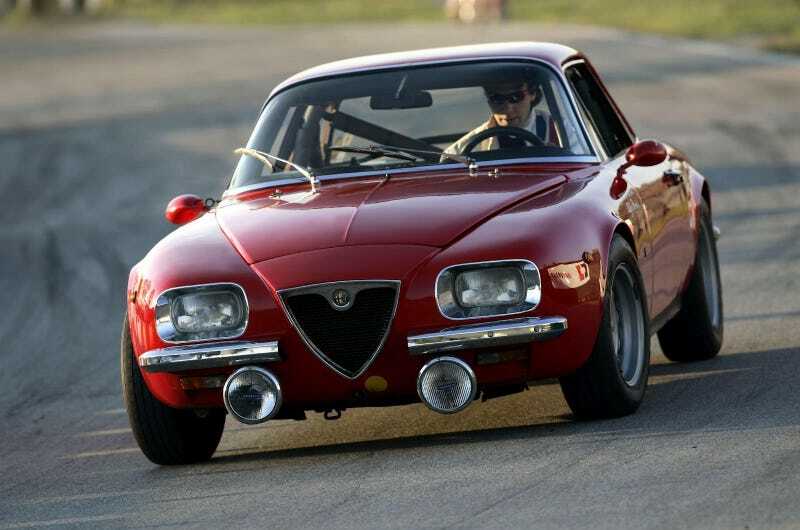 That would give Alfa a reasonably big 6-cylinder saloon and coupe during the late 60s/early 70s. Think BMW E9, but slightly curvier and a 2600 Zagato-derived front end. Naturally, this gets my Alfaholic brain all excited. How hard could it be to make something like this? Probably horrendously difficult, and it might involve the rather questionable act of chopping up a Giulia GTV and/or a 2600 to create it, but I would absolutely love to give it a go. It is a step above and beyond what I normally think about building, which is usually improved versions of already existing cars. Not sure how I feel about trying to create something entirely new. What say you oppo? Also, if you could create an all-new vehicle from your favourite company, now or back then, what would it be?